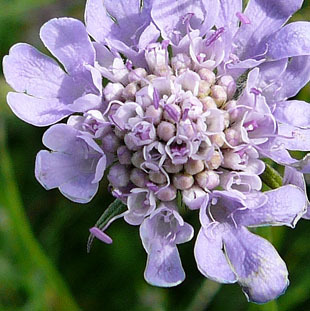 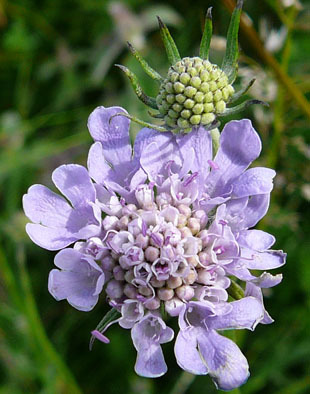 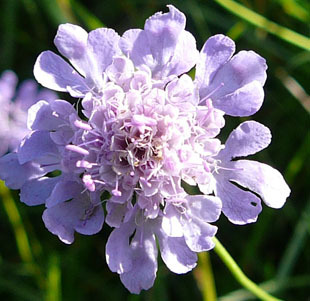 Small Scabious is a native, perennial herb, growing up to 70cm. 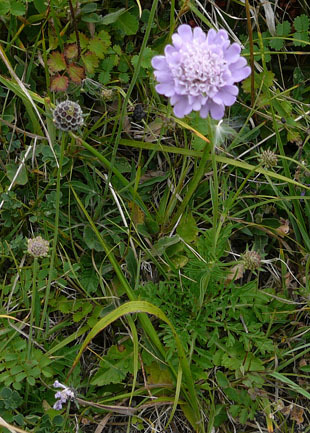 and paler flowerheads (up to 3.5cm). 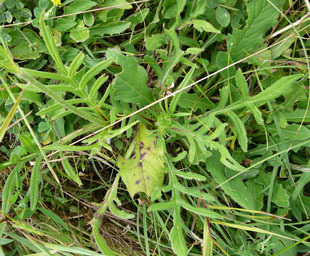 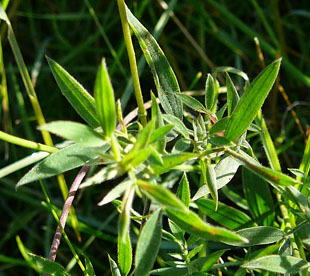 The lower leaves form a rosette and are pinnate. 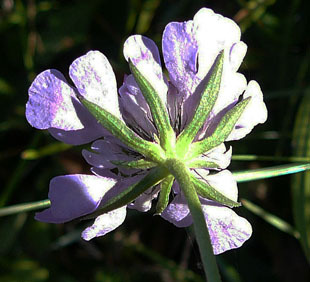 The upper leaves are narrower.